THE SEVENTH FIRE Q&A and Panel Discussion at the Royal Opening Night. July 28, 2016 by Jordan D.M. From executive producers Terrence Malick, Natalie Portman and Chris Eyre comes The Seventh Fire, a fascinating new documentary. When Rob Brown, a Native American gang leader on a remote Minnesota reservation, is sentenced to prison for a fifth time, he must confront his role in bringing violent drug culture into his beloved Ojibwe community. As Rob reckons with his past, his seventeen-year-old protégé, Kevin, dreams of the future: becoming the most powerful and feared Native gangster on the reservation. The Seventh Fire executive producer Chris Eyre, director Jack Riccobono, and main subject Rob Brown will participate in a special Q&A after the 7:30pm screening at the Royal on Friday, July 29. 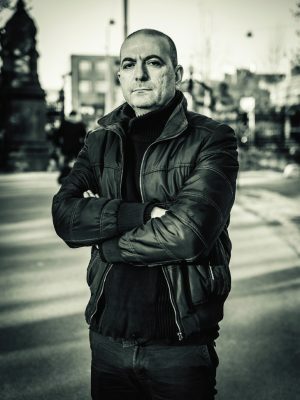 Chris Eyre – Executive Producer of The Seventh Fire. Chris Eyre, an enrolled member of the Cheyenne and Arapaho Tribes, is a film director and producer who as of 2012 is chairman of the film department at the Santa Fe University of Art and Design. Rob Brown – Film subject of The Seventh Fire. Rob is a former Native American gang leader on a remote Minnesota reservation – and, in the film, is sentenced to prison for a fifth time, he must confront his role in bringing violent drug culture into his beloved Ojibwe community. Naomi Ackerman – Naomi is founder and director of the Advot Project, a registered 501(c) 3 that uses theater to facilitate social change. Her educational curriculum, “Relationships 101,” is currently being implemented in public and private high schools as well as in juvenile detention camps in Southern California. Fabian Debora – Homeboy’s Director of Substance Abuse—would be a perfect fit for this. Fabian is also an incredibly talented and accomplished artist. His work has been featured across Los Angeles and he also conducts classes for Homeboy trainees regularly at his Downtown studio. Fabian himself was previously gang involved before transforming his life through the Homeboy program. Joanelle Romero – Joanelle is an award winner director, producer, and writer of American Holocaust: When It’s All Over I’ll Still Be Indian, that made the Academy’s Documentary Branch preliminary shortlist. This is the first and only film to date that addresses the American Indian and Jewish Holocausts. Romero is the only native filmmaker to be so close to an Oscar nod. June 16, 2016 by Jordan D.M. THE FLIGHT FANTASTIC, a fascinating look at the world of the flying trapeze, centers on one of the greatest acts in circus history, The Flying Gaonas. First performing on a trampoline, the Gaonas went on to become the star attraction for the best circuses in the world, including Ringling Bros. and Barnum & Bailey. Long-time Broadway director (and trapeze flyer) Tom Moore brings their story to life through interviews with family members and colorful archival material. Richie Gaona & Mercedes Gallup (partner), Jose Gaona, Alex Gaona, Masha Nordbye, Corinna Gamma (Photographer) and DIR Tom Moore. June 8, 2016 by Jordan D.M. I love New York in June. How about you? 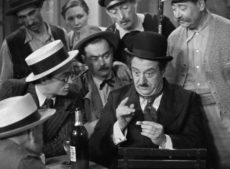 Well, this month we have two superb New York movies as part of our Anniversary Classics and some of the key talent behind them in person to talk about it. This year marks the 45th anniversary of THE FRENCH CONNECTION, the gritty and gripping police thriller that won five Academy Awards in 1971, including Best Picture, Best Actor for Gene Hackman, Best Screenplay and Best Director for our special guest, William Friedkin. 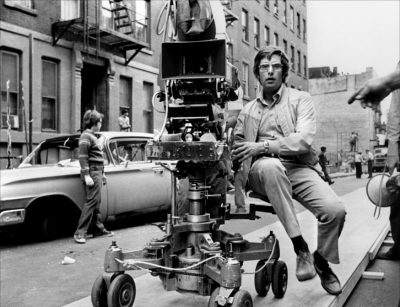 One of the key figures in the American cinematic renaissance of the 1970s, Mr. Friedkin has directed such films as The Birthday Party, The Boys in the Band, the enormously successful The Exorcist, Sorcerer, To Live and Die in L.A., Rules of Engagement, and the more recent Killer Joe. 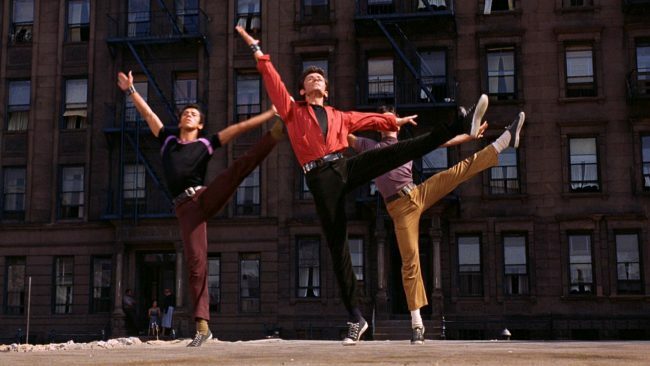 June 29 won’t be just any night, because we’ll be celebrating the 55th anniversary of WEST SIDE STORY at the Fine Arts with Bernardo and Riff themselves, George Chakiris and Russ Tamblyn. NOTE: Unfortunately, George Chakiris had to cancel for health reasons. One of the most honored and commercially successful of all movie musicals, WEST SIDE STORY earned a near-record 10 Academy Awards in 1961. The film version of the groundbreaking stage musical that re-imagined Romeo and Juliet in contemporary New York City retained and deepened the play’s emotional impact by bringing together a show business all-star team. 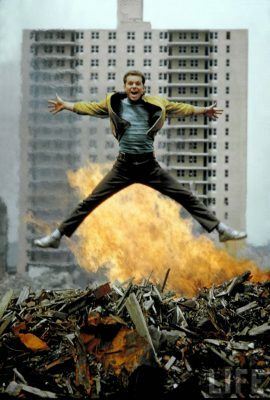 The show’s director and choreographer, Jerome Robbins, worked with veteran filmmaker Robert Wise to transform the theatrical experience into electrifying cinema. Robbins and Wise reworked the classic Leonard Bernstein-Stephen Sondheim score and came up with fresh casting ideas for this ever timely story of racial prejudice and conflict. The stars of the movie included Natalie Wood, Oscar nominee Mr. Tamblyn, Oscar winner Mr. Chakiris, and Oscar winner Rita Moreno. Our screening will be followed by a Q&A with the charismatic leaders of the movie’s rival gangs, the Jets and the Sharks. 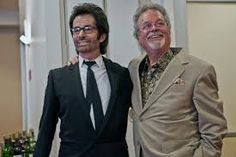 Mr. Chakiris (Bernardo) had been a dancer in several 1950s musicals, including Gentlemen Prefer Blondes and White Christmas. Following his Oscar-winning performance in WEST SIDE STORY, he appeared in such films as Diamond Head with Charlton Heston, Flight from Ashiya with Yul Brynner, and the Jacques Demy musical The Young Girls of Rochefort, co-starring Catherine Deneuve and Gene Kelly. He also has extensive credits in theater and television. Russ Tamblyn (Riff) played Elizabeth Taylor’s younger brother in Father of the Bride in 1950. He displayed his dance abilities in such musicals as Hit the Deck and Seven Brides for Seven Brothers and earned an Oscar nomination for his dramatic turn in the 1957 film, Peyton Place. His later work includes The Wonderful World of the Brothers Grimm, the horror classic, The Haunting (also directed by Robert Wise), David Lynch’s cult TV series, Twin Peaks, and a cameo in Quentin Tarantino’s Django Unchained. Both Q&A’s will be moderated by Los Angeles Film Critics Association president Stephen Farber. Oscar-Nominated director of THE IDOL in Person for Q&A’s in Santa Monica and Beverly Hills. May 18, 2016 by Jordan D.M. THE IDOL director Hany Abu-Assad will participate in Q&As following the 5:00 and 7:40 PM shows and introduce the 10:15 PM show on Friday, May 27 at the Monica Film Center. He will also do Q&As following the 4:30 and 7:10 PM shows in at the Fine Arts on Saturday, May 28th. April 4, 2016 by Jordan D.M. Thursday, April 14, 7:20 pm: Sylvia Thompson. Tuesday, April 12, 2:40 pm: Gayle Kirschenbaum. Thursday, April l4, 2:40 pm: Rosalyn Kahn. March 17, 2016 by Jordan D.M. After a lifetime of being overlooked and ignored, a woman of a certain age (Sally Field) finds her world turned upside down by a handsome new co-worker and a self-help seminar that inspires her to take a chance on love in HELLO, MY NAME IS DORIS, a witty and compassionate late-life coming-of-age-story. HELLO, MY NAME IS DORIS director Michael Showalter will participate in a Q&A after the 8 PM screening at the Playhouse on Saturday, March 19. March 7, 2016 by Jordan D.M. Part psychological sexual thriller and part classic mystery, BACKGAMMON explores sexual tension, danger and mind games between a group of college students during a getaway in a country mansion. BACKGAMMON director/co-writer Francisco Orvañanos and lead actor Noah Silver will participate in Q&A’s after the 7:40 screenings and introducing the 10:15 screenings at the NoHo 7 on Friday and Saturday, March 11 and 12. February 9, 2016 by Jordan D.M. SOUTHBOUND is an acclaimed horror anthology with five short stories involving travelers on a highway at night. The segments were directed by David Bruckner, Roxanne Benjamin, Patrick Horvath, and the film collective known as Radio Silence. SOUTHBOUND made its world premiere at the 2015 Toronto International Film Festival. The SOUTHBOUND directors will participate in Q&A’s after the following screenings: Feb. 5 – Fine Arts 7:30; Feb. 9 – NoHo 7:30; Feb. 10 – Monica Film Center 7:30; Feb. 11 – Playhouse 7:30.